Henry Royce, an electrician-engineer from Manchester, built a 190-liter 3-cylinder Decauville-inspired car and equipped with a 10hp twin engine, which he gave his brand name. O C.S. Rolls son of Lord Llnagttock sought on the market a lightweight quality car to market it alongside the imported Continetal through his Delegation in London. These two people joined forces and created the Motorized Legend that we know today. 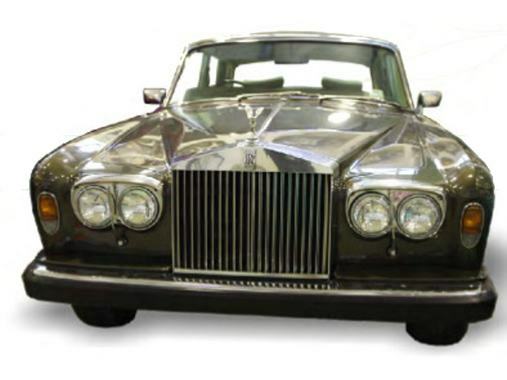 The company has designed a number of outstanding modeling cars, the Silver Ghost, Phantom, Silver Wraith, Silver Dawn, Silver Cloud, Corniche, Carmaque, Silver Spirit and finally Silver Shadow that is the current four-door luxury car equipped with V8 300hp 6750cc, water-cooled Automatic. The car was produced in 2 series I & II from 1963 to 1982 and had the biggest commercial success for the manufacturer. The former owner of our car was Lord Manbanten and then the former President of the Hellenic Republic John Tsatsos and then Constantine Karamanlis who succeeded him.